Engineered Hardwood vs. Laminate Flooring: What’s the Difference? 1.1 What’s the Difference Between Engineered Hardwood and Laminate Flooring? 1.2 What is Engineered Hardwood? 1.5 Which Floor is Best For You? Not sure whether to go with engineered hardwood vs. laminate flooring for your home remodel? While both materials achieve that beautiful wood-look floor, there are key differences between the two. Here’s everything you need to know to make your decision. Do you dream of a trendy home? You know, the kind that fits right in with your Pinterest board but looks far too pricey to be realistic? 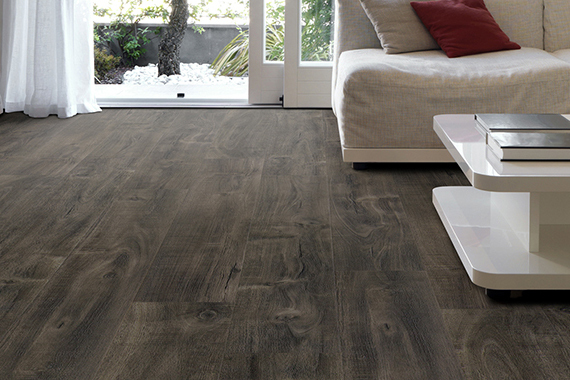 Good news for you and your wallet – the latest flooring trends are affordable to keep up with. Wood-look flooring has been trending for years now, even topping our flooring charts as the #1 trend two years in a row. Now, instead of shelling out for a solid hardwood floor, you can choose from plenty of inexpensive wood-alternate options that are just as sleek and durable. Among the most popular wood flooring alternatives are engineered hardwood and laminate plank flooring, two flooring types that tend to get used interchangeably because of their similarities. But if you’re trying to decide which material to go with for your home or business, it’s important that you know what makes these products stand apart. In this engineered hardwood vs. laminate flooring showdown, we’ll lay out all the pros, cons and major differences that you need to be aware of. Keep reading to determine which wood-look floor is the best choice for you. What’s the Difference Between Engineered Hardwood and Laminate Flooring? Laminate flooring and engineered hardwood are more like sisters in a family rather than twins. They’re two beings that obviously look alike and come from the same family, but they have contrasting personalities and slightly different physical makeup. They value different things, come with different flaws and rock their own unique features. What does each “sister” bring to the family of flooring? Let’s break it down. The key difference in how each floor is made is that engineered wood contains a top layer of solid wood while laminate uses a photographic layer coated with a wear layer to achieve the wood-look surface. Engineered hardwood tends to be the thicker option, backed with layers of plywood or fiberboard, while laminate planks are thinner. That’s your basic breakdown, but flooring sisters come with several layers. Time to unpack years of family history! Engineered wood is made up of a thin veneer top layer of solid wood; however, the remaining base of the product is made up of plywood. The natural top layer makes engineered wood just as durable as traditional hardwood and provides the same classic, timeless look. It’s like the sister who always looks flawless and all done up without even trying. Cost: Engineered hardwood is often less expensive due to the plywood base. With solid hardwood, you’re paying for an entire plank made up of that material, whereas with engineered, that expensive layer is on top where everyone can see it — showing you off, making you look fancy, but the less costly, durable plywood is holding it up. DIY installation: No contractor? No problem! Engineered wood is installed with a tongue and groove system – the material can either be loose laid or installed with glue. Versatility: This isn’t Goldilocks here. Things do not have to be “just right”. Engineered wood can be installed on all levels, making the possibilities endless. Less expansion/contraction: Compared to solid hardwood, engineered hardwood is less likely to expand and contract. However, upon installing the product, we advise that you leave about ½” space for expansion. That way if it does expand and contract, then it has “breathing” room. Options: Engineered hardwood comes in hand scraped, textured, smooth and distressed surfaces, giving you the option of adding a bit of special touch to the product and complementing your decor. Green: Engineered wood flooring is a more environmentally friendly product – that means all your recycle-loving friends will approve and it looks just as good on your floor! Cannot be refinished: Unlike solid hardwood which can be refinished, engineered wood has a thin wood veneer on top. Attempting to refinish the engineered wood could potentially damage the product. Mindset: Some people prefer to know that hardwood is strictly made out of wood, just like purchasing designer jeans, you want to make sure it’s authentic. Though engineered wood is not made out of 100% solid wood, it still gets the job done and, usually, at a lower cost. It’s all in how you see it – would you rather take a price cut and still have a stylish floor to show off rather than paying for those designer jeans with a higher price tag? Laminate flooring is still technically a wood floor as the particle board contains wood fibers, but unlike engineered hardwood, laminate planks do not contain layers of plywood. With an image layer that allows the floor to mimic wood, stone or even metal, laminate is the wild sister who likes to experiment with her makeup and style. 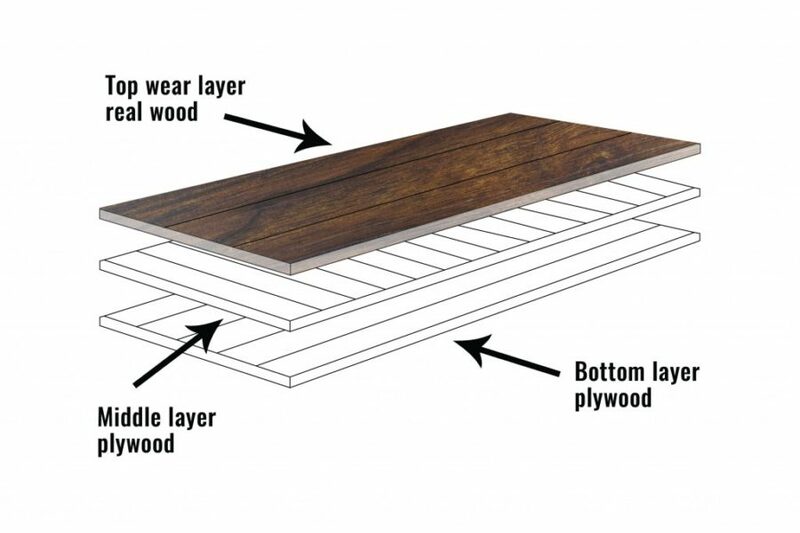 Backing layer: This is the backbone of a laminate plank, helping provide stability for the floor and helping to keep water from penetrating the flooring from underneath. 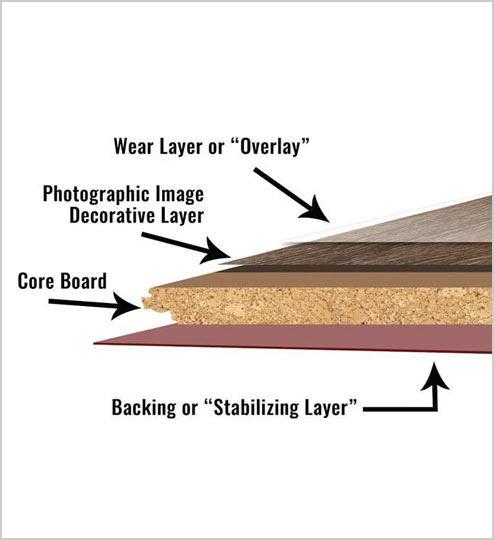 Core layer: A core layer gives the floor its durability and stability. This layer is typically made of compressed high-density fiberboard (aka HDF) and is resistant to water, but not necessarily waterproof. Image layer: This holds the pattern or print, making the laminate look like wood (or, now, stone, metal and more!). The image layer can include rougher, more natural looking scrapes and knots just like the real deal. Wear layer: The wear layer is what protects the floor from scratches, dents and staining and provides the realistic look and feel of the floor. 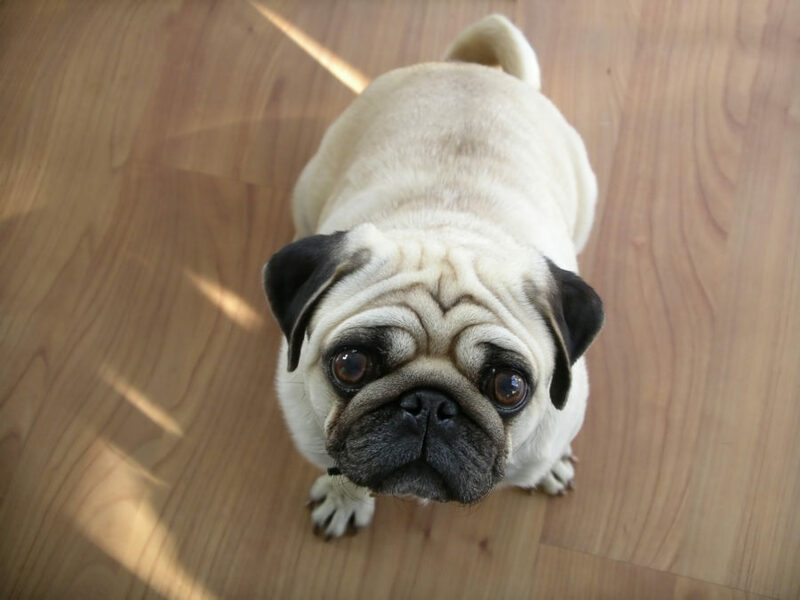 Scratch resistance: Laminate has a strong wear layer that protects the floor from scratches, dents, wear and staining, all the things pets love to test our floors on. Can resist some water: Advances in construction are improving laminate’s water-resistant capabilities. While it’s still not as waterproof as other wood-look options like vinyl flooring, most new laminate floors can withstand topical moisture. Proper installation helps keep water from seeping through the planks. Can be installed over radiant heating systems: You won’t find this feature with most hardwood flooring options. Easy to clean and maintain: Simply mop or sweep up messes as needed. No floor waxing is ever necessary. Easy to install: Laminate flooring is designed to be installed as a floating floor, meaning that it is not secured to the ground underneath, but rather “floats” by the means of an interlocking design. Easy to stand on for longer periods of time: Most laminate installations include underlayment, which can make the floor feel more comfortable underfoot. Cost effective: Laminate floors are an affordable alternative to hardwood floors. Lower price and lower maintenance? Yes, please! Not as water-resistant as vinyl flooring: While laminate flooring has come a long way in its water-resistant capabilities, it still cannot tolerate standing pools of water. Unlike vinyl, laminate’s water resistance works from top to bottom rather than bottom to top. If you have moisture issues with your subfloor, you’ll still need a vapor barrier. Not recommended for full bathrooms or basements: Since these areas are prone to leaks and flooding, you’ll want a more water-resistant floor. You can make your laminate floor more water resistant by installing an underlayment and vapor barrier as well as using the glue-down installation method. 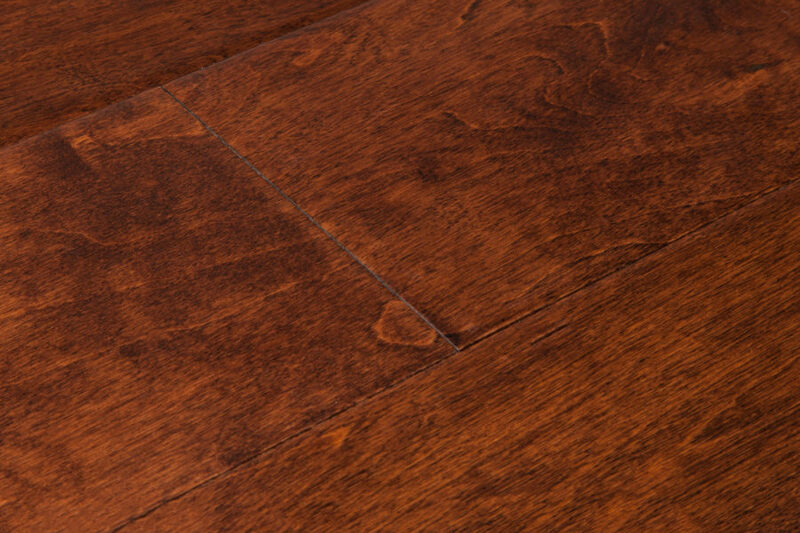 Sound: If installed poorly, laminate floors can create a hollow, empty sound. Every product comes with thorough installation instructions, and if you’re really worried, you can always hire an expert. Plus, a good underlayment can make for a quieter laminate floor. While laminate flooring has come a long way in constructions and variety of prints, engineered hardwood wins on its natural beauty. With a solid hardwood top layer, engineered hardwood is as close as it gets to a natural wood floor. But as we all know, looks don’t tell the whole story. 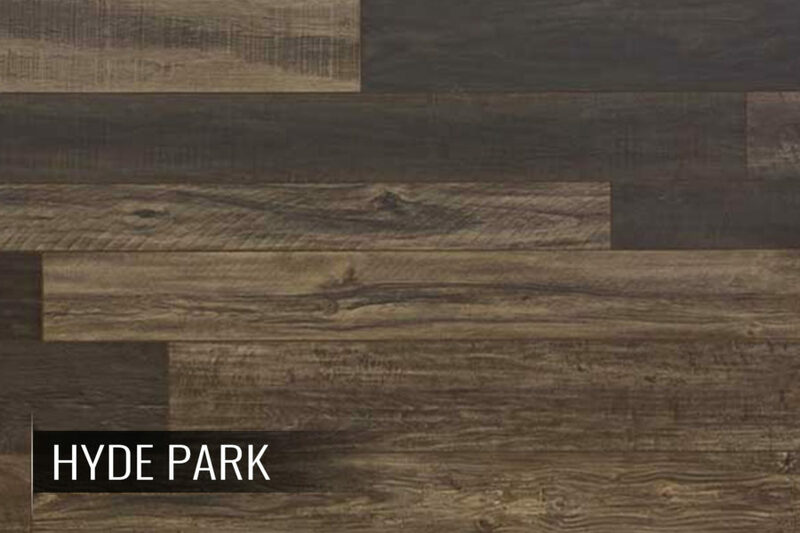 Of all the wood-look alternative flooring options, laminate wins in being the most affordable. If price is important to you, laminate flooring is a quality, cost-effective option. Engineered wood can increase your home value almost as much as hardwood flooring. Investing in a high-quality laminate floor can also moderately raise a property’s value. The sure bet here, however, is engineered hardwood. 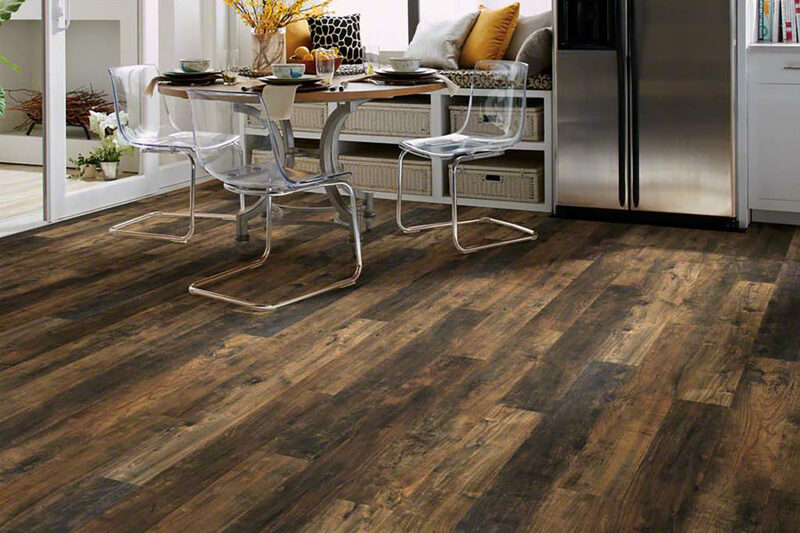 Laminate’s sturdy, scratch-resistant wear layer makes this floor a beast in the durability category. These tough floors can withstand heavy foot traffic and are becoming more resistant to moisture. Engineered wood, on the other hand, is made of natural products and is more susceptible to damage and rot in moisture. With good care and maintenance, however, these floors can live up to 100 years. Laminate takes the crown again for moisture resistance. 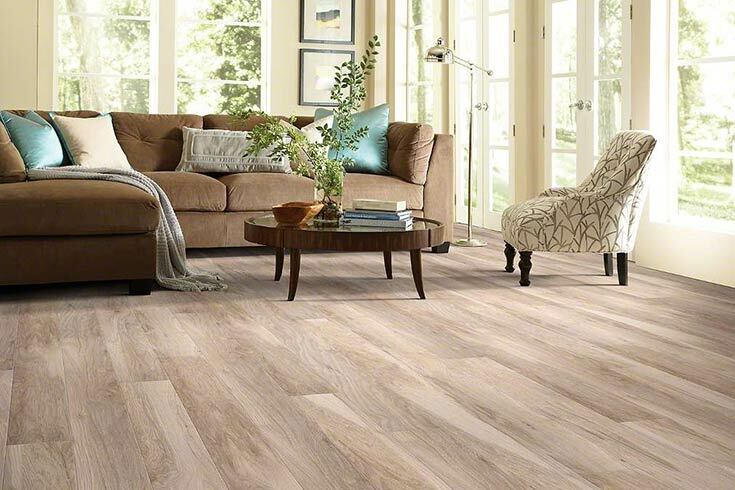 While it’s not as water-resistant as other wood alternatives, like vinyl flooring, laminate can be installed in ways that increase its resistance to moisture. Engineered wood is made of natural components and is more susceptible to mold and rot under moisture. Laminate is far easier to maintain than engineered wood flooring. Engineered hardwood is easy to clean, but you have to keep up with waxing and refinishing to maintain its beauty. The material also has more holes and grains that can collect dirt, while laminate is smooth and easy to wipe clean. Laminate installation is more of a DIY endeavor than engineered wood floors. 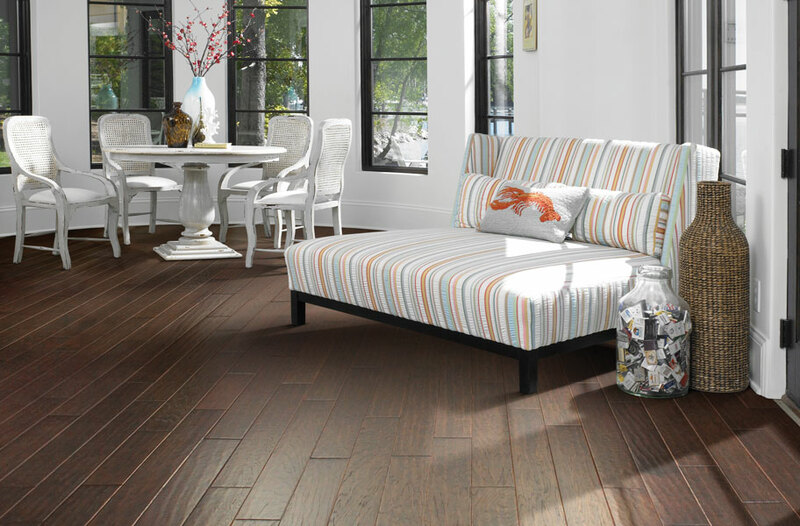 Installing laminate planks doesn’t require any nailing or glue, like engineered hardwood. It’s a simple interlocking tongue-and-groove system that can typically be installed in a day. If you’re a DIY go-getter, laminate flooring is for you. Pet owners love laminate floors for their scratch-resistant superpowers. The problem with natural wood is that scratches from pet nails or even scents from their accidents can be tricky to remove. Laminate floors are more forgiving to our pets. Engineered wood is back in the game! Since these floors reuse wood scraps and organic materials, engineered hardwood is the more environmentally friendly option. Though laminate manufacturers get points for making progress in sustainability by using more recyclable materials. Finally, a tie! Both laminate flooring and engineered hardwood work well with radiant heating. For any product, be sure to check with the manufacturer to confirm the floor’s compatibility before purchasing. The winner of engineered hardwood vs. laminate flooring is really up to you. Both are strong, durable floors that are less expensive than natural wood, but if price is your most important factor, laminate flooring is the most affordable. Both materials mimic a natural wood floor beautifully, but if you’re all about natural beauty, you might prefer the solid wood top of an engineered hardwood floor. Give each of these pros and cons some thought, and determine what factors are most important to you. The best part? You can order free samples of both engineered hardwood and laminate flooring and compare and contrast for yourself. Ready to create your dream home with a new floor? Like this post? Save it to your Pinterest board and come back to it any time as you plan your dream home! With the attractive look of birch wood, the versatility of an engineered plank, and a 1.5mm thick wear layer, your investment is well worth the low cost to revamp your space. Shaw laminates use less newly harvested wood than conventional hardwoods and feature our exclusive OptiCore—an environmentally friendly laminate flooring core board that's strong, stable and moisture resistant. More versatile and resistant to moisture, these engineered wood planks are a great addition to any room in your home and are backed by a 50-year warranty. A brand new and revolutionary wood floor option that is 100% water resistant, TimberCore is specially constructed to be durable, and is even approved for use in high traffic commercial areas. The Estate collection offers a beautiful real wood look, finished with registered embossing for a truly realistic feel underfoot. High variation color are available in random width and length options, adding to the authentic essence of real hardwood floors.